As our hobby Taurus locomotives BR 182, BR 185 and BR 189 have no close coupling , operating with close couplers between locomotives and cars is not possible for technical reasons. 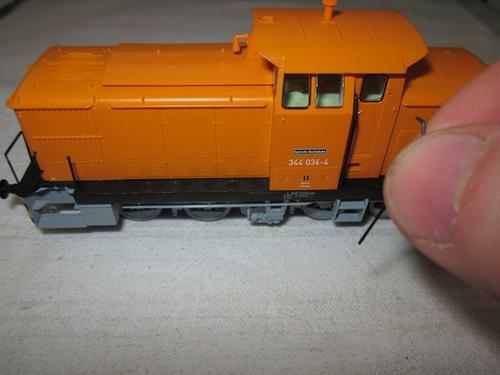 For locomotives in the hobby program, this is not necessary in our view. 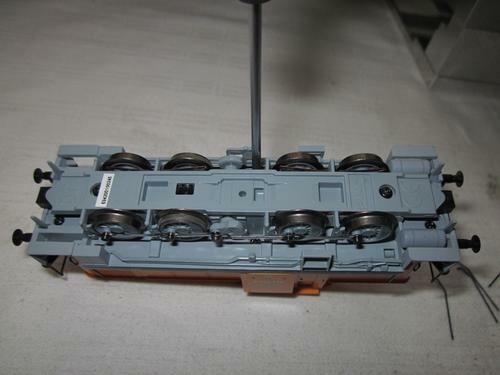 However, since there are some PIKO fans who use our hobby locomotives because of their good and consistent runnability on club layouts, they want a short coupling operation. However, one can create a workaround for this problem with some crafting skills. In the same time we would like to point out that through your work on the locomotive a possible warranty claim can be forfeited. 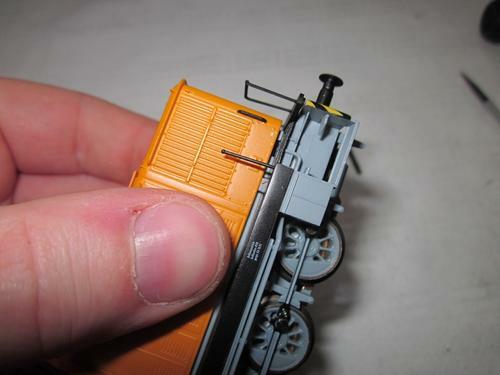 Turn your model on its head, so that you can remove the coupler shaft on the bottom of the model . Please note that you use a foam pad, so there is no damage to the roof equipment. 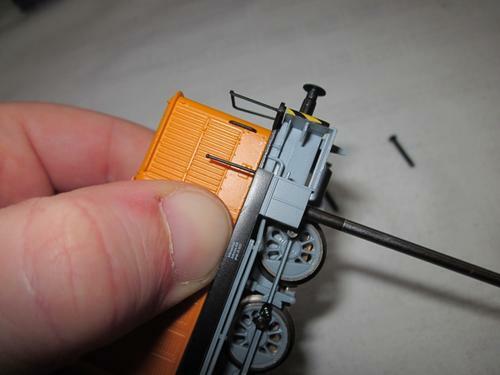 Gently press the cowcatcher up with a screwdriver as far as necessary so that you can pull the shaft out forwards (pictures 2-4). Please pay attention to the fine resetting springs on the shaft, these must not be deformed. The installation of the shaft is carried out in reverse order. 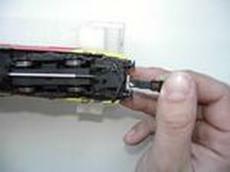 When rasping please leave sharp edges, so that a solid latching occurs, so the couplers cannot be easily pulled out. 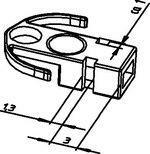 Get our spacers (item number 56036) which were especially developed by us to extent the close coupler shafts of our models. Here are 2 pieces in each box. 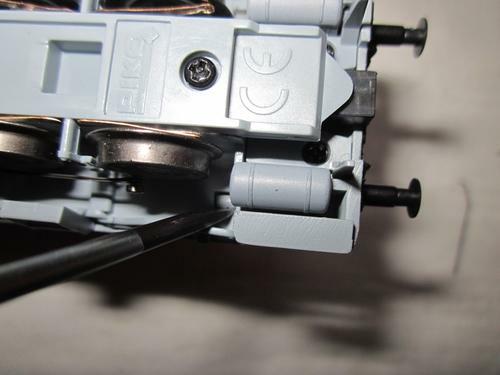 Slide the PIKO spacer over your close coupler. Insert the short coupling with the spacer in the standard shaft until it clicks into the rasped out slot. If the close coupling is not properly locked into place, you have to rasp again until a solid latching is possible. 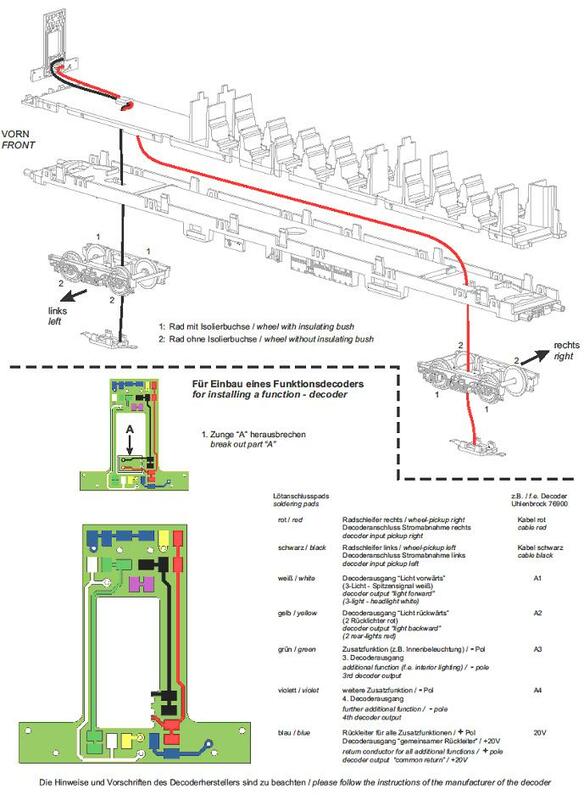 Please remember that the latching has to pull your train! 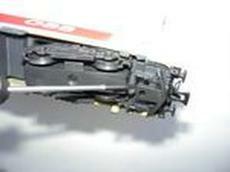 Now your locomotive is ready for operation with close couplers. Can you mount traction tires on a E93? Now place the traction tires loosely on the wheel, on which you have already removed the traction tire and where you want to mount a new one. Now pull the new traction tires loosely over the entire wheel. Then insert the key with the protruding pin between the tire and the wheel. Here, the curved front piece of the key should rest outside on the wheel rim. From above, please press with your fingers or with the tweezers on the traction tire, so it cannot slide down from the slot in the wheel. Now run the mounting key around the entire wheel with light pressure against the body of the wheel. During this process hold down the traction tire with thumb or tweezers and press it into the groove. 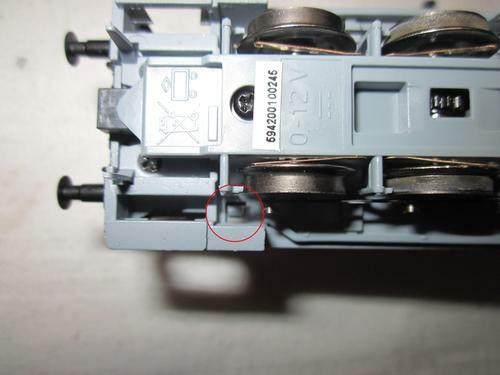 Finally switch on the current of your model layout to a pair of wheels and turn the transformer to the extent so that the wheels turn slowly. Simultaneously press with a blade screwdriver on top of the exchanged traction tire so that it can be put right into the groove. If this seems to be too complicated for you, ask your local dealer if he will change the traction tires for you. 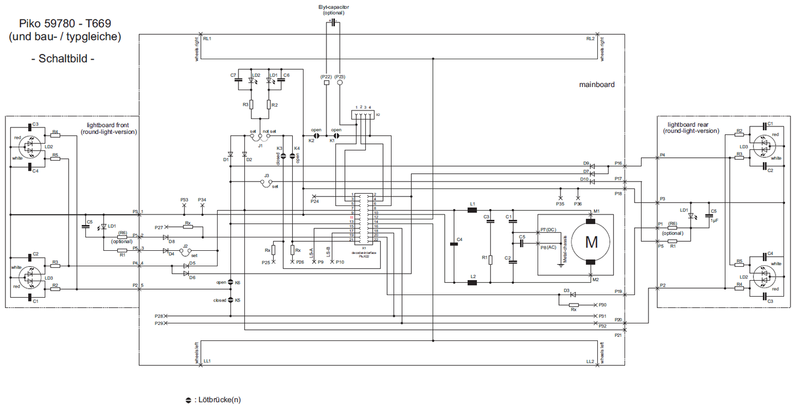 Are PIKO models suitable for digital operation? 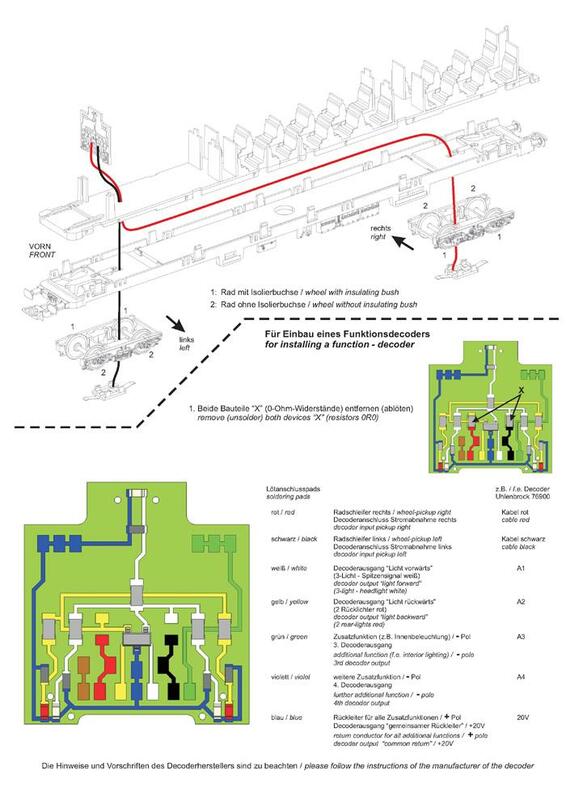 All PIKO locomotives (except BR 38, Kö I and hobby steam locomotive 50500/50501) for the DC system in our range have a digital interface (for the type of interface, see product details). 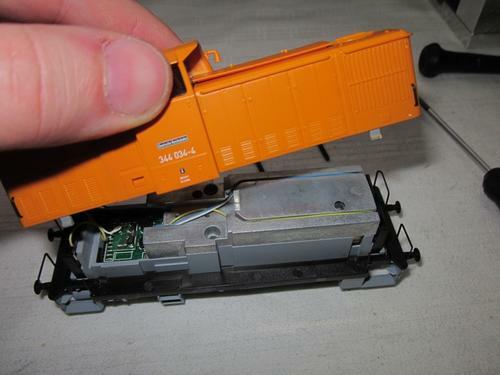 If a digital operation is desired, the decoder only needs to be inserted into the loco's interface. The AC models of our range are already equipped with a digital decoder. Is there a interior lighting for the PIKO ICE 3? For our ICE 3 the installation of interior lighting is not provided. 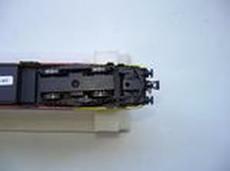 Therefore, we also do not offer any conversion kit for retrofitting. 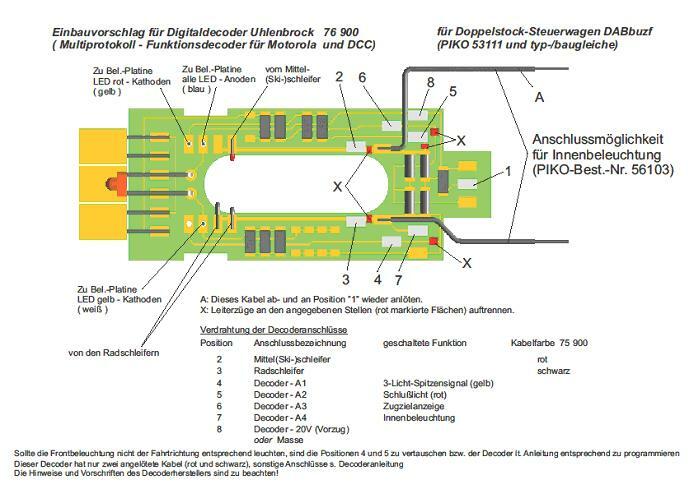 What can I do if the PCB of older PIKO BR 180/230 causes lighting problems when digitizing? BR 180/230, Art.No. #51020 ff. In older models of our BR 180/230, No. #51020 ascending, circuit boards are installed, which can cause problems with the lighting when digitizing. 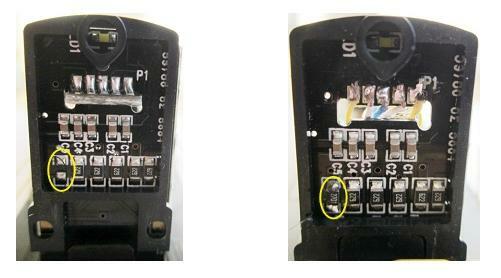 These boards are recognizable by having only two wires that lead from the motherboard to the separate lighting boards. We replace these boards if necessary complimentary with new boards, which work perfectly with a decoder. What to consider when opening the V60? 1) Remove the 4 handles on the cab. 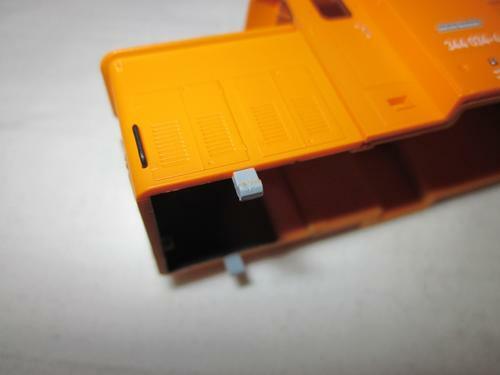 2) Unscrew the screws on the right and left bottom of the cab. 3) Carefully unclip the 4 latches (2 on each side of the frame) with a screwdriver from the frame. Please be careful so that the latching lugs do not break. 4) Remove the body carefully. 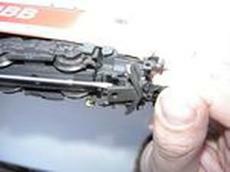 5) Please note that when you remount the body that the latches snap into place by their own. Turn the screws back in and then mount the handles again on the model. (Elko - max. Baugröße ca. 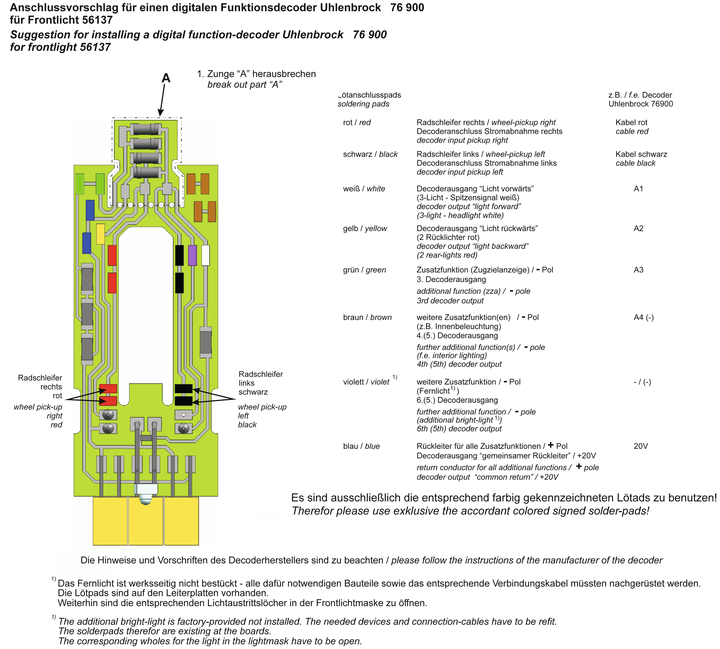 ø10,5 x 21), über die Lötbrücken K1 und K2 kann gewählt werden, ob der Plus-Anschluss des Kondensators an Pin6 (K1 geschlossen), Pin9 (K2 geschlossen) oder beiden (K1 und K2 geschlossen / Pin6 und Pin9 damit direkt verbunden) der PluX-Schnittstelle angeschlossen wird. Eine von einigen Decoderherstellern geforderte Ladeschaltung dafür (Widerstand zur Ladestrombegrenzung, Freilaufdiode) ist nach Angaben des jeweiligen Herstellers vom Betreiber bei Bedarf selbst in geeigneter Weise zu installieren. Die seitlichen Kennzeichenbeleuchtungen sind werksseitig parallel zu den Frontlichtern geschaltet. 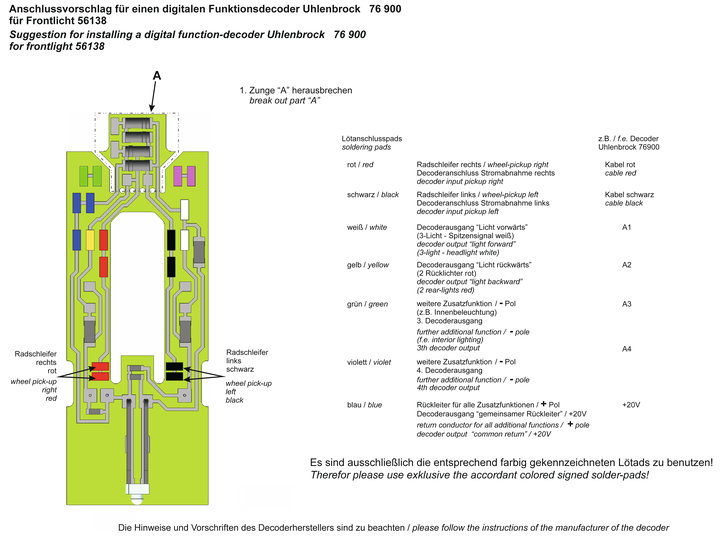 Durch Umstecken von J1 lassen sich diese digital separat schalten (werksseitig über die geschlossene Lötbrücke K3 mit AUX7 -Pin22- verbunden). Durch Öffnen von K3 und Schließen von K4 kann diese alternativ an AUX6 (Pin21) geschaltet werden. 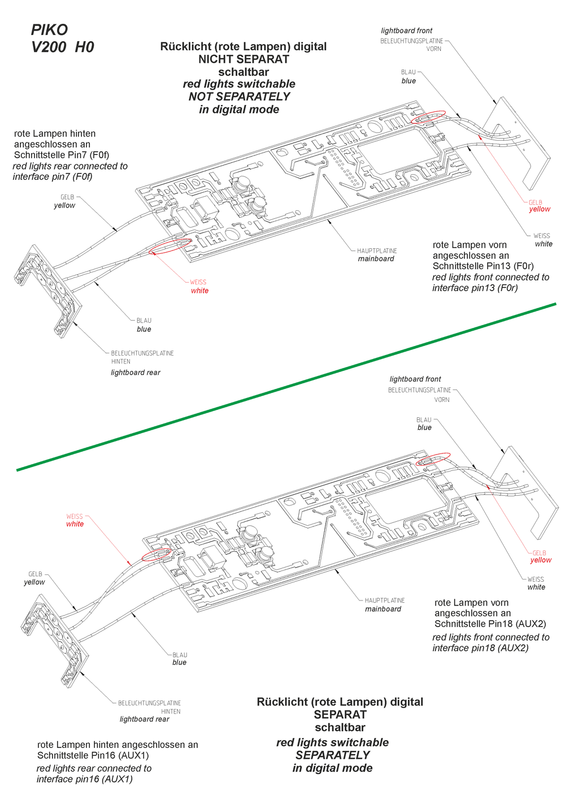 Das Entfernen des Jumpers J2 deaktiviert das obere Frontlicht vorn, das des Jumpers J3 das entsprechende hinten. Über Ausgang AUX3 (Pin2) lässt sich ein Rangierlicht schalten. 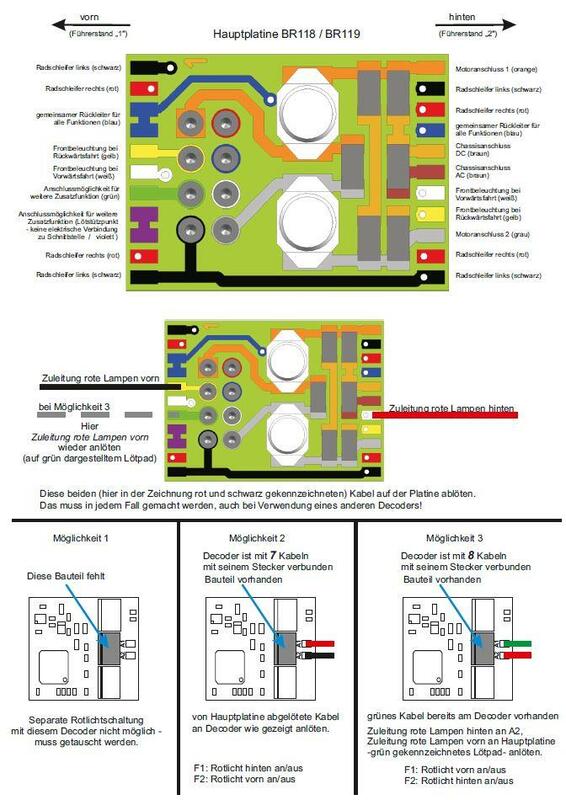 Dabei leuchten alle 4 unteren weißen Lampen (2x vorn und 2x hinten). (der beiden oberen Scheinwerfer hinten / vorn) realisiert werden. Im gezeigten Beispiel wurden Widerstände 2K7 verwendet, die „reguläre“ Beleuchtung ist gedimmt. Schaltbar ist dieses Fernlicht über AUX4 (Pin19 / vorn) bzw. AUX5 (Pin20 / hinten). The white / red light change of the control car must be controlled in digital mode with a function decoder. The decoder is soldered. Below you will find the appropriate connection diagrams.